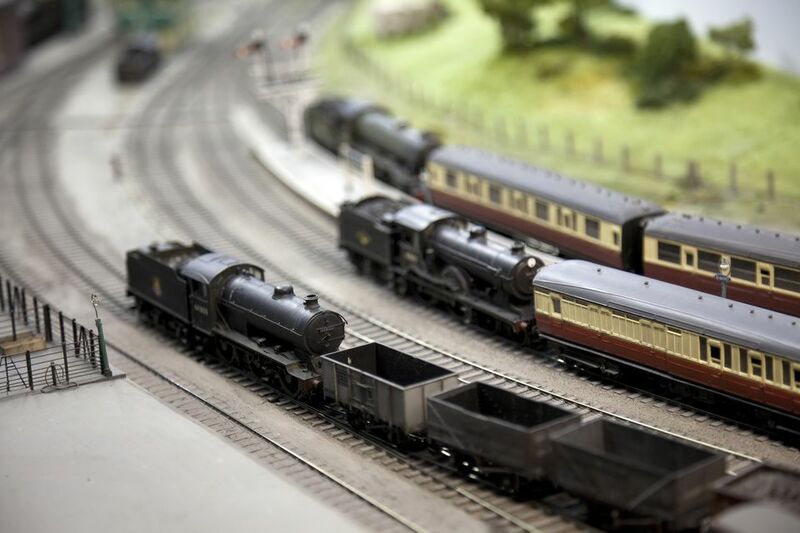 Whether you are starting with an undecorated model, or just enhancing one already painted, there are many techniques for painting model trains, track, structures and more. With the proper tools and techniques, you can turn any model into a unique masterpiece. From big jobs to small, these tips will help with many projects. An airbrush is one of the best ways to paint models and create an amazing variety of effects. With practice and proper techniques, you can master this tool for use all around your layout. 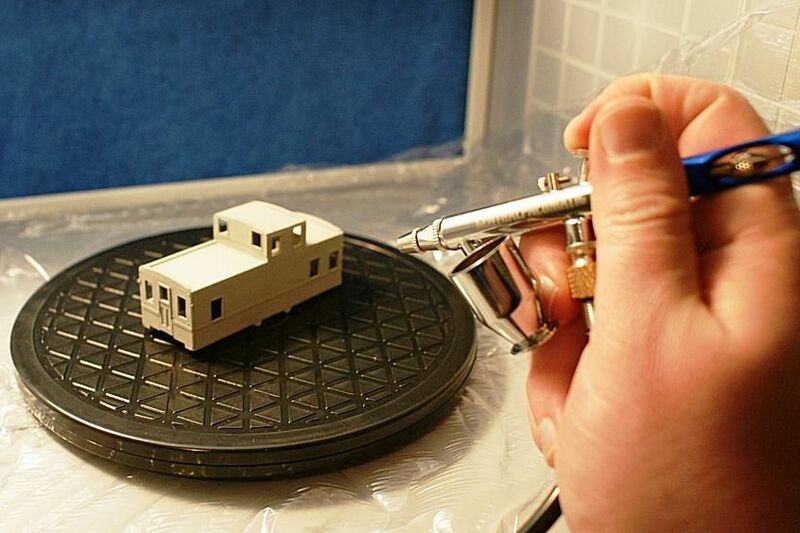 A good paint booth is essential for safe airbrushing.​ This portable model will work well for most needs and budgets. Often the first step to painting a model is removing the existing paint. Stripping paint is an essential part of refinishing models—and a good skill to know for those mistakes you'll make yourself. Whether you are weathering a train or dying plaster scenery, washes are an effective way to build up color and vary tones gradually. An easy way to enhance the look of any diesel locomotive is to blacken the grills and vents to provide more depth. When trains change hands through sale or merger, or sometimes just to counter the effects of the elements, railroads often apply a small patch job instead of a complete repaint. This is an easy way to add character to a model or replace duplicates. This easy technique will help add age and sun-bleaching to any model. It is also a useful technique for blending touch-ups on pre-painted models. There are so many ways to recreate the effects of weather on models, they need their own set of pages! Normally this is something we'd try to control, but there are lots of examples of overspray on the prototype. Here's an easy technique to add this effect to pre-painted model railcar roofs. No matter how good the paint is on your model train, it loses realism quickly when placed on the shiny track. It's best to know how to paint and ballast a track so realism is uniform throughout the model. After you've painted a model, decals are the most common way to add lettering and other complex graphics. Dry Transfers offer an alternative to decals. Each has its own application technique and advantages for modelers.